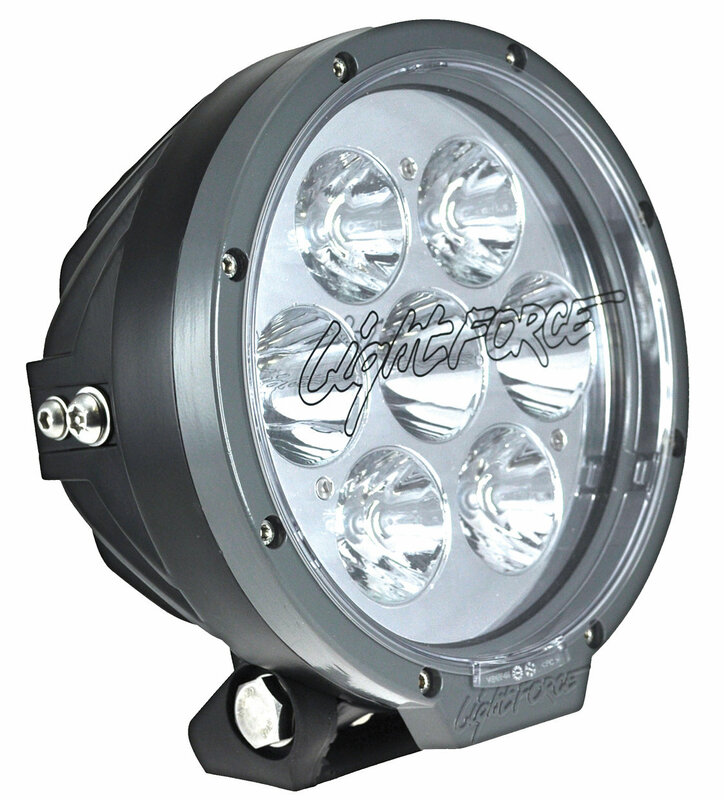 Lightforce performance is now available in next generation LED format driving lights with tough pressure cast aluminium construction, two pack DuPont® automotive coating, rugged impact resistant hard coated polycarbonate lens for durability and a water proof rating to IP68 standard. This LED series driving light sets new performance benchmarks for durability and performance, available in spot or combination beam patterns. The LED180 utilizes 7 10w high output LEDs tuned within deep reflectors to produce unparalleled performance in its class. 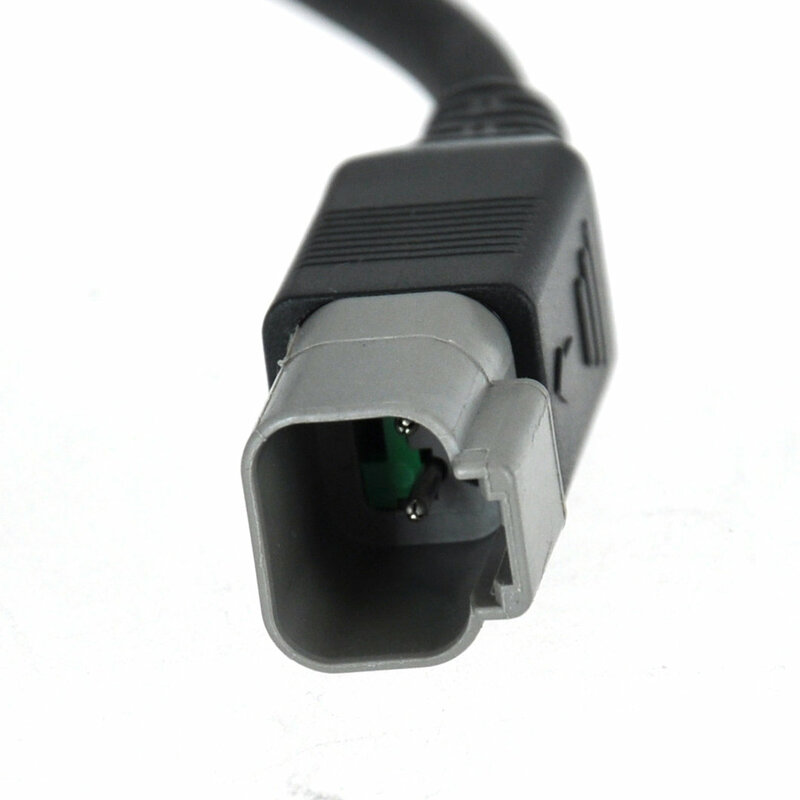 Multiple mounting options are available using the included reversible composite mount, fitted with two pin waterproof Deutsch connector with loom adapter included. With up to 94% efficient reflectors producing smooth well balanced beam patterns for increased distance, volume and intensity combined with high grade Cree US chipsets resulting in superior performance. Multiple finned high pressure cast aluminium housing finished in UV-resistant two-pack DuPont® automotive coating, ensures the light is going to stay looking great. Pulse width modulation circuitry ensures maximum efficiency by fully controlling voltage to the individual driver assemblies, resulting in lower power consumption and prolonged LED life. Multiple mounting positions with the supplied composite mounting bracket that is fully reversible, plus we have included two positions on the housing itself. Military waterproof membrane pressure equalization filter with mechanical lock that positively seals into the housing ensuring long term reliability as it does not require adhesive to hold in place. Proprietary sealing of the lens to the housing ensuring dust and waterproof integrity to IP68 standard, submersible to 3 meters. Hard coated scratch and impact resistant Polycarbonate lens for long term reliability. DEUTSCH connector with custom made dual injected molded strain relief fitted to military specification grade cable. Matching connector supplied as standard for integration into your existing harness. Clear clip on filter comes standard for additional protection. Available in spot and combination beam patterns (specialised combinations can be made to order by our Custom Built division).